Do you need to convert the HEIC photos on your iPhone to regular JPG? A fast and easy way to do this is to use one of the various web apps available, such as Apowersoft. While Apowersoft is popular, there are also some alternatives that you should know about. What's Apowersoft Free HEIC Converter? 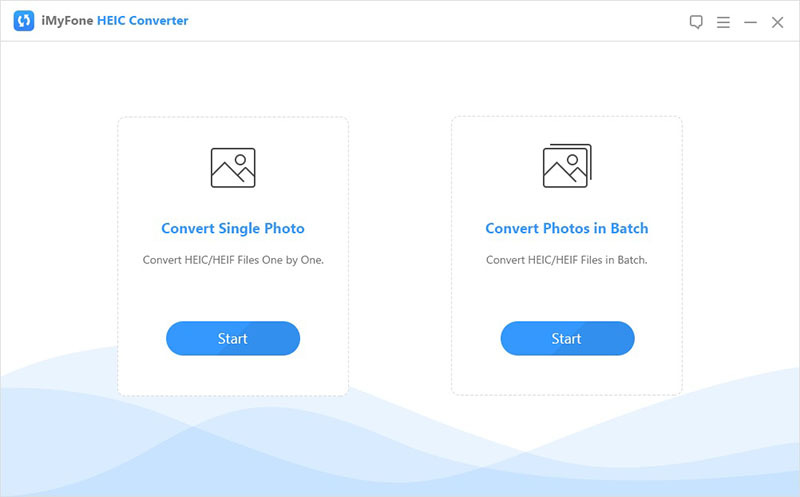 Apowersoft HEIC converter is a web application that, as the name suggests, converts your HEIC photos to JPG. It does this through an online interface and you can simply drag and drop your photos, then wait for them to be converted. You can use the app online, so you don’t have to download anything. There’s an optional desktop version (for PC but not Mac). Support to convert photos individually or in batch. You can simply drag and drop your files, so it’s very easy. Assuming you’re using the online version, you have to be connected to the Internet to use it. It can be slow if your connection is slow. Since you’re transferring possibly private pictures through a network and converted photos are stored in their cloud server, there is a risk of possible privacy leak. You need to download the converted photos from their cloud server one by one. The iMyFone HEIC Converter is an application that lets you convert your HEIC photos on your iPhone to JPG photos, so that you can more easily use the outside of the Apple ecosystem. It’s an extremely simple application and you can download it right here. There’s no risk of privacy leak as the conversion is done offline. It converts quickly since you don’t have to rely on an Internet connection. You can convert photos individually or in a batch. You can adjust the picture quality for best results after the conversion. You can view the iOS 11 HEIC photos if you choose “Convert Single Photo”. Step 2: Choose to either convert a single photo or a batch of photos by pressing Start. In this example, we’ll convert just a single one. Step 3: Click Select a File to browse for a file (then select it and click Open) or just drag and drop a photo into the square. Note: You can find your iPhone photos in This PC\iDevice Name\Internal Storage\DCIM. Step 4: Choose your preferred photo quality (this determines the file size as well), select a folder to store and click Convert. Click OK when you’re done. This is a nifty little website that allows you to drag and drop your photos and convert them online, similar to Apowersoft. You can drop up to 50 photos and it works fairly quickly, though of course this depends on your connection because it’s an online tool. Allows you to convert in batch. Doesn’t require you to download anything. As with any online tool, it’s best not to use it with private photos because you are sending your pictures through public servers. If you have no Internet connection, you can’t use it. There is no option to adjust image quality for converted files. 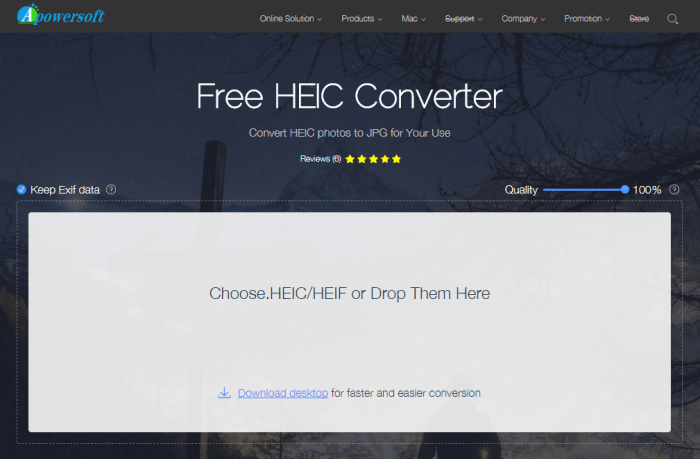 This is yet another online coverter that lets you add up to 20 files to convert from HEIC to JPG. It’s useful as well, though it suffers from a lot of the same flaws as most online converters like this. It has a very classic interface that’s easy to use. Can convert up to 20 photos at once. No need to download anything since it is online. You can’t use it without a network connection, obviously. It may not be secure to send your photos to convert online and store the converted images in their cloud server. It’s website page is with ads which may be confusing to users to use.